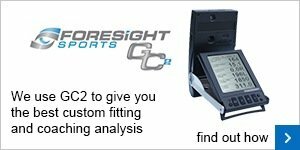 It is a myth that only low handicap players can benefit from custom fitting - EVERY level of golfer can realise the benefits! We offer a complete custom fitting experience. Whether it's woods or irons, we have all the experience and equipment at hand to find the exact specifications to optimise your game - and beyond. The custom fitting service is not solely aimed at Cobra, but covers all major brands and as part of Foremost Golf we offer competitive prices on all equipment. 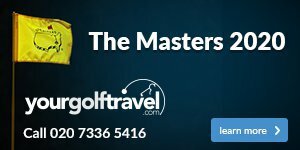 To arrange a fitting session (at no extra charge) please contact us - Nick (Pro) or Jordan (Assistant Pro) 015395 35937 or Click Here. We offer many repair services and aim to turn around repairs quickly to minimise disruption to your game. Re-Gripping:Your grips are the only point of contact which you have on the club so it's vital that they are in good condition. You wouldn't drive around on bald tyres.......so why play golf with shiny bald grips? We cover all price points - starting from just £4 per grip including fitting - so why not give your clubs a new lease of life today and feel the difference for yourself? Shaft Repairs: Be it a wood or an iron, we can repair and replace shafts which are bent or broken. Shaft Alterations: We can lengthen or shorten your clubs to ensure they fit you correctly. Be it just your putter or a full set of irons, we've got it covered. Loft Lie Alterations: A very good way to maximise your clubs performance is to ensure they sit at the correct lie angle for your swing. Want custom fitted clubs without paying hundreds of pounds - we offer free checks on all irons and any alterations needed are charged at just £5 per club. Shoe Spiking Service: When you purchase a set of spikes, we will install them free of charge.